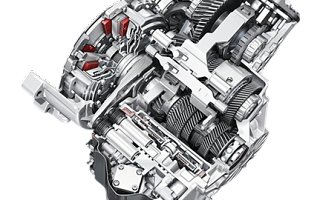 The operation of a dual clutch transmission is analogous to two traditional manual transmissions, each with its own clutch, operating in parallel and alternating shifts. 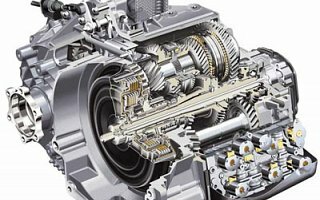 The 6DCT unit is a six-speed with one clutch acting on first, third and fifth gear, and the other used for second, fourth and sixth gear. 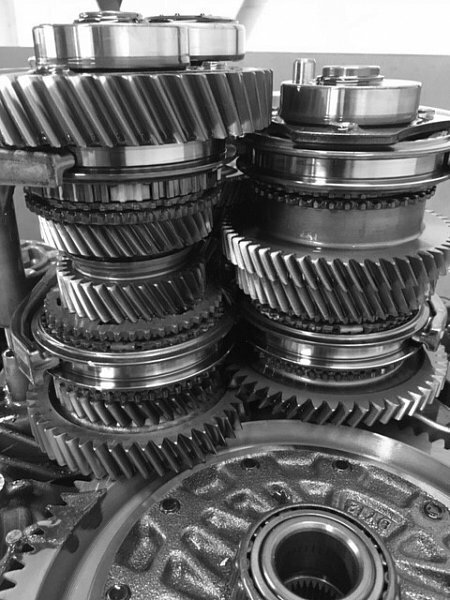 As first gear is engaged, the 2-4-6 clutch is disengaged and the second gear cogs are engaged. 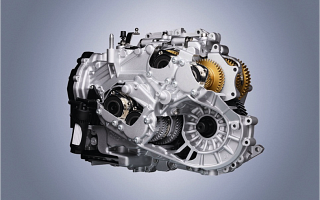 At the appropriate time, the 1-3-5 clutch is disengaged and the 2-4-6 clutch is engaged. 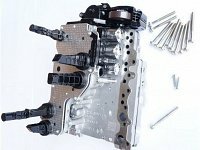 While in second gear, the other side shifts from first to third. 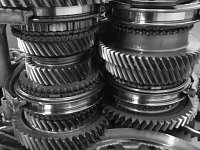 The process is repeated with quick smooth shifts and none of the efficiency loss normally associated with torque converters. 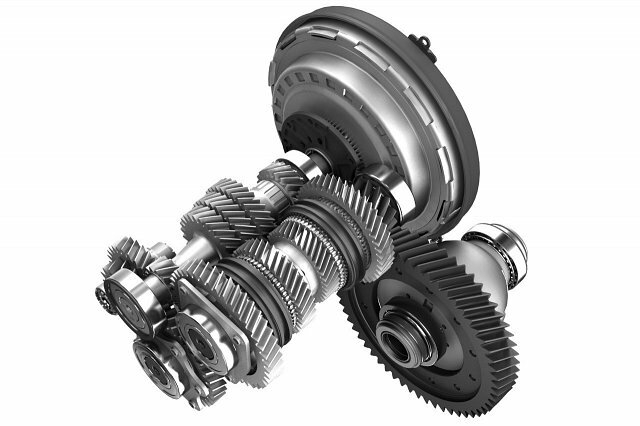 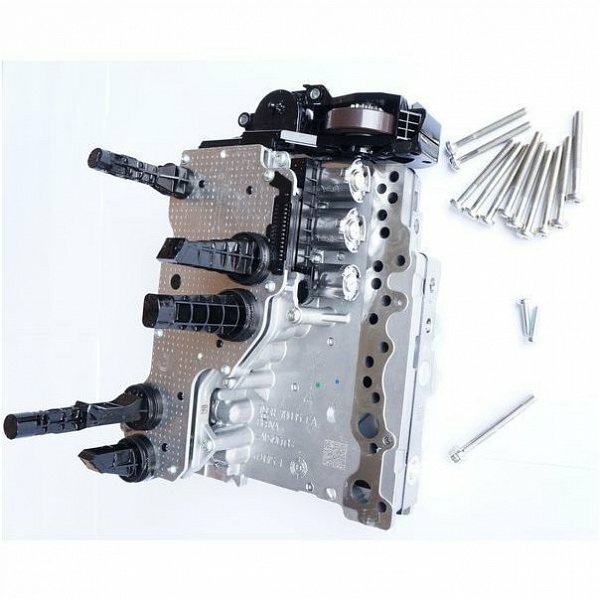 Signature Transmission have had plenty of experience with the DCT semi automatic style transmission. 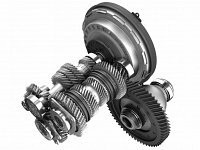 We have been modifying these transmissions in Fords, Mitsubishi, Dodge, Volvo & Chrysler. 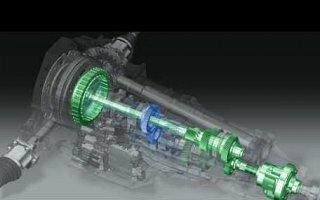 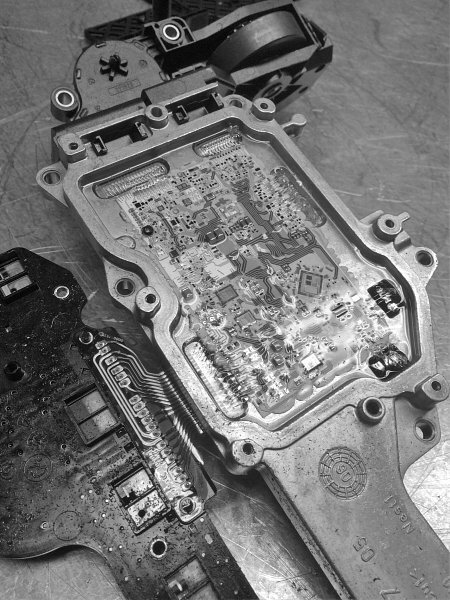 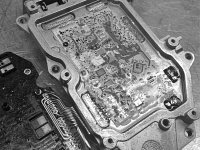 They are a very complex transmissions but with Signatures Qualified Technicians we have set procedures ensuring a positive end result.